"As an accomplished all-around musician, Minekawa's musical skills set her firmly outside of the J-Pop "idol" tradition: she writes and composes most of her material, singing quirky lyrics about subjects such as clouds, cats, and the color white (her personal favorite), with her love of Kraftwerk and French Pop Music also showing through her unique experimental sound. She often makes use of vintage Casio keyboards and analog Moog synthesizers, as well as vocoders and other electronic instruments. Her live debut was in 1990, calling herself Mamene Kirerie as a member of the group Fancy Face Groovy Name alongside Kahimi Karie and backed by Flipper's Guitar. She was also a member of the band L⇔R before releasing her solo debut, Chat Chat in 1994. Although as a child Minekawa had a short acting career, this interest has not resurfaced in her adult life (aside from her voice exclaiming "PlayStation!" in a recent commercial for the product). She has written professionally, as regular columnist in the Japanese edition of Keyboard Magazine; she also contributed a serialized novel to the Japanese quarterly Bungei. She married fellow musician Keigo Oyamada (aka Cornelius) in 2000. The pair have collaborated on several projects. 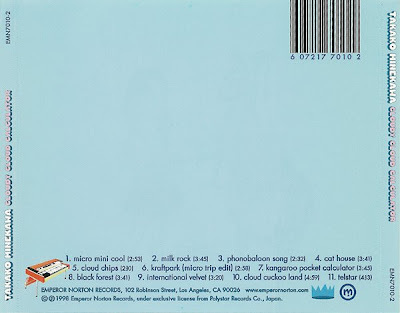 Cornelius remixed some of her songs, including the well-received "Milk Rock". He also produced her album Fun9. 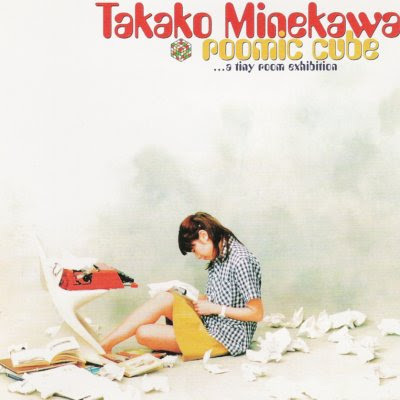 Minekawa's musical influences are as varied as her lyrics. An avowed fan of French pop, some of her favorite French artists include Françoise Hardy and Pierre Bachelet. The influence of the British band Stereolab can also be heard in her music. While there are certainly touches of humor in her lyrics and tone, she is a sincere fan of Krautrock, particularly the earlier works of electronic music pioneers Kraftwerk, to whom she dedicated the song Kraftpark! In an interview, Minekawa explained her admiration for the band: "I decided to describe the landscape of Kraftpark with sound and narration. This song is not a parody of Kraftwerk. I did it because I love them!"" wonderful technopop , japanese style. Kraftwerk-ian sounds, streched vocal parts,analog synths and much use of moog.Reminding in parts their labelmates Stereolab. Incredible! Hey! Thanks for that. I was thinking about 'Roomic Cube' after reading this yesterday! Her best album is Fun 9 if you ask me. Delightful stuff! At once fulfills the stereotype of Japanese pop as unencumbered play with Anglo elements and goes way beyond it. The archives are correct, btw. yeah!!! takako minekawa's two best!!! destron is really the focal point of rommic cube if you ask me. an amazing song!! it's funny cuz chat chat really is just a silly jpop album and i had no idea upon hearing it that she would make such amazing music after.